Our professional trained uniformed chauffeur will pick you and your party up in one of our luxury Hummer Limos. From there you’ll enjoy a short tour around Belfast with a complimentary bottle of chilled bubbly to get you in the mood. 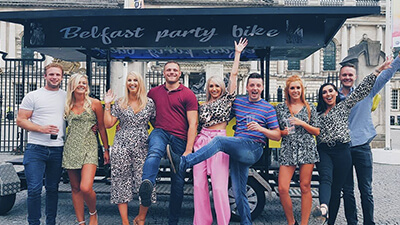 Upon arrival in Amelia Street, you’ll board the Belfast Party Bike where the real fun begins. Your tour lasting one or two hours will start in Amelia Street and firstly take you past sights such as The Europa Hotel and Belfast City Hall. There’s nothing like the hustle and bustle of Belfast onboard the Party Bike. Enjoy your drinks, play your own music and have some craic, it’s all about having a good time. 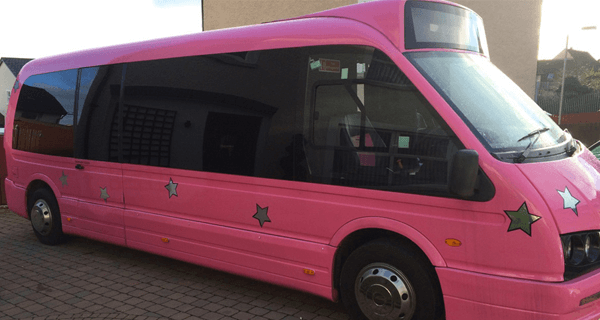 To make sure you get home safely and saviour those last few moments of partying we’ll drop you home via our Pink Party Bus. Featuring widescreen TV’s, professional sound system and LED lighting, the party will continue right up until you reach your front door. We promise you can’t have more fun on four wheels anywhere in Belfast. Tours start and finish in Amelia Street (next to Little Italy Pizzeria) We ask all parties to arrive 10 minutes in advance of their start time to ensure there are no delays. If our bike is not there when you arrive please don’t panic, it’s simply completing the previous tour and will be with you shortly. We get asked lots of questions about group size, alcohol, and prices. Here are some FAQs which should answer your quieries. If you still need more information please contact us via email or phone. What's the min/max number of riders? We don’t have min or max numbers. We can take bookings from groups of two up to 40. Of Course! Bring as much food & drink as you’d like. Please be respectful of our city and use the public wastebins at the end of the tour. Can under 18's get onboard? Yes, however, the same rules apply to under 18’s as adults. Be respectful and follow the instructions of our tour guides at all times. For more information call or email our team. Can we stop at pub along the way? Yes! We normally have two short stops on each tour to give everyone a break and an opportunity to have a drink or smoke. Can you transport us to the start point? Believe it or not, we can! 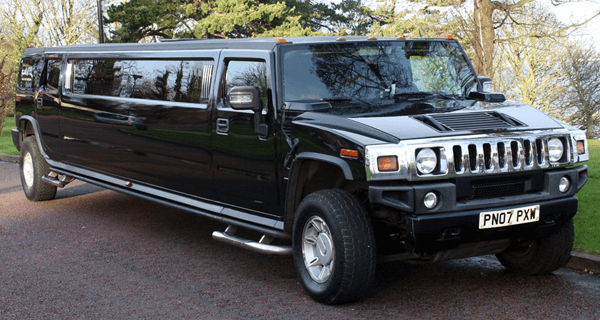 We own a range of luxury Hummer Limos which are the perfect way to get everyone in the mood for your Party Bike Tour. Visit our Limo Package page for more information. We do have a small number of Terms & Conditions, these are in place to ensure the safety and protection of your group and Belfast Party Bike Tours. Please read our Terms & Conditions before booking.